ResidentDante: An episodic nightmare of evil (pro)portions! An episodic nightmare of evil (pro)portions! 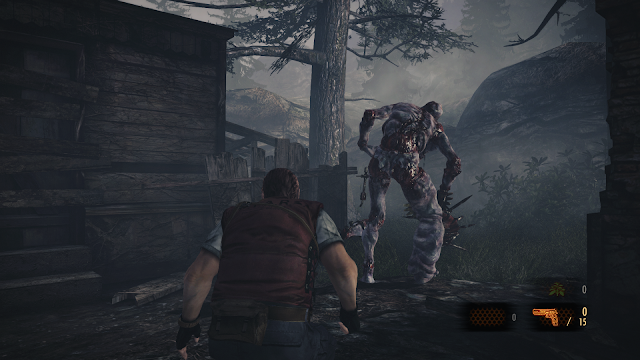 The Resident Evil franchise spans over so many titles it's confusing, and as such, I'll only focus on the spin-off series, Revelations, here. The previous Revelations, which launched on the Nintendo 3DS in 2012, received an upgraded version for the Xbox 360, PS3 and PC in 2013. I played the latter to bits on my 360, and it's still a game I warmly recommend and love. 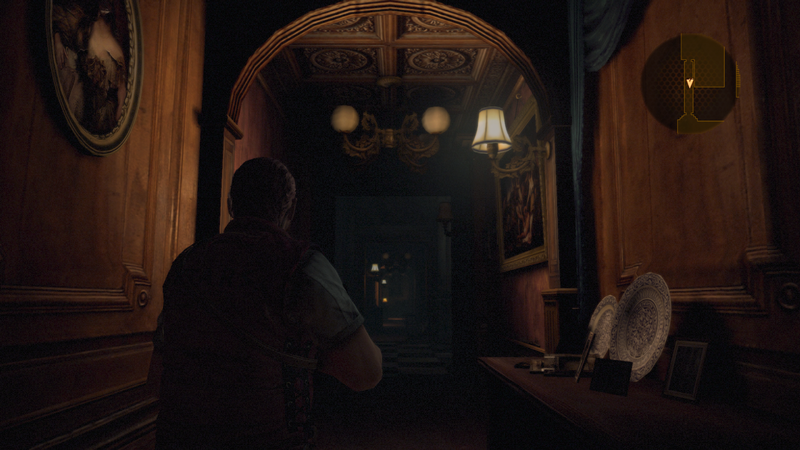 Why I enjoyed Rev1 so much was mostly due to the more atmospheric and creepy focus, much like the original RE games were on the PS1, only with modern third person shooter controls. 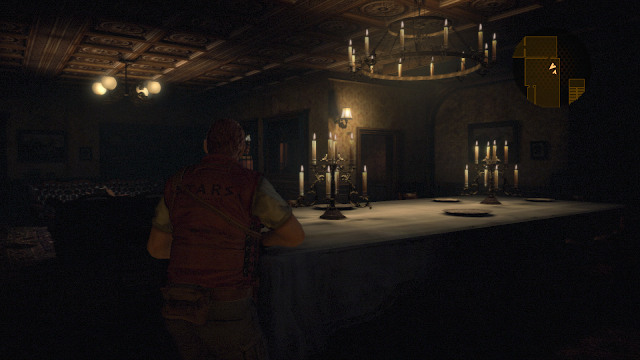 A stark contrast to the action games RE4 to 6 have become. Strangely enough Capcom decided to make a revelations sequel and I was initially excited. However, the end result seemed somewhat low-budget and the reviews were mixed. Luckily though, I caved later into the year, and purchased the complete box set of Rev2. This complete version contains all the four episodes, plus two extra and all the DLC that was released in episodic form digitally. While I'm not a huge fan of episodic releases, this particular box set works just like a full game, so it doesn't affect my view. All episodes have since been bundled and retail at a low price digital, so going this route probably your best and cheapest option. There's a lot of value for money here. Rev2 kicks off in a familiar cheesy RE fashion showing a TV advertisement for the anti-bioterrorism organisation Terrasave, which the two main protagonists are connected to. 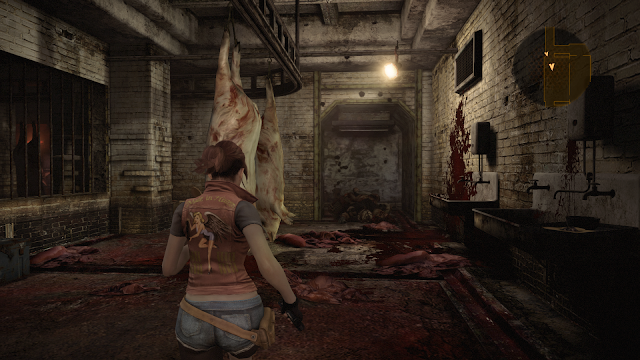 Namily Claire Redfield and Barry Burton of RE fame. Although this laughable intro is actually intended to be overdone and sarcastic, it's joke falls flat. Not only is the following cutscene full of classic RE dialogue awkwardness, but all the prejudices for bad storytelling throughout the RE series overshadow the developers intention. Let it be noted though, the dialogue is slightly better than previous instalments throughout. Conversations sound more casual and believable. The actual game starts when you wake up in a prison cell as Claire, together with Barry's daughter Moira. Here the game introduces you to it's mechanics and character swapping feature. Be it with another person or on your own, the RE games seem to have been pushing for you to play with two characters since RE5 (well actually since the mediocre RE Zero, but that's another story). Unlike previous attempts though, in Rev2 it works surprisingly well. How this "play two characters at once" feature somehow works so well for Rev2 is much to do with the them having different natures in their skills and abilities. 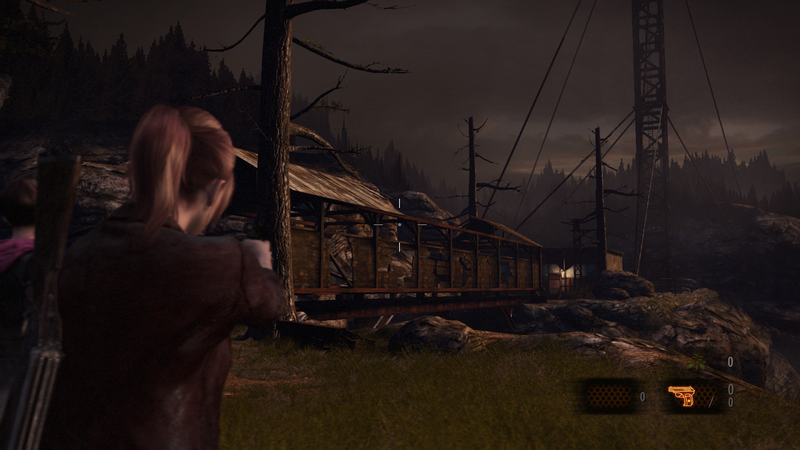 Claire is the offensive player with weapons to kill zombies, while Moira is the defensive one with a torch that can find hidden items and slow enemies down. I found this shift in gameplay style refreshing. I also appreciated that you could, and must, swap between them to progress. Items and ammo that you pick up are easy to manage and swap between each other. One could argue that playing the second character, which basically only has defensive abilities, while the other player has all the guns, could be boring in coop. Understandably both the players would like to actually shoot the enemies, but for those looking for a coop adventure with something a different, perhaps where one of you doesn't feel comfortable with third person shooting, then this is a perfect solution. In essence it's what makes Rev2 truly unique and memorable. I ended up really enjoying my playthrough together with my wife in coop play. She always preferred to be the defensive character and left the shooting to me. Knowing this divide in gameplay before purchase is essential for those with coop play in mind. Local coop has a neat feature too; simply drop in or drop out of the session and it switches on the fly between fullscreen and splitscreen. Great for those wanting to just test out the coop and then continue on their own. Coop is also of course available, and perhaps is the best way to play, online. Single player works fine too though; you simply switch on the fly between the two characters with the press of a button. Technically Rev2 does it's job fine, there's no bells and whistles. The graphics, while I appreciate the 60fps, look a little low-budget and it could be mistaken for a last generation title on the 360/PS3. I don't want to think what this game looks like on last-gen with the high framerate and resolution missing. Luckily I'm playing the Xbox One version, which apparently has the best performance on current gen consoles. The visuals do their job though, and in the more organic and open areas of the game, shine though as looking quite pretty. Sadly there's a lot of repetitiveness in the indoor locations in the first two chapters and little actual interaction with the environments. There are crates you can smash and boxes that can be moved to reach places higher up, but they stick out like a sore thumb screaming "look, here's something you can interact with". The rest of the environments look stale and often have this feeling of emptiness to them. Just like the previous Revelations, Rev2 has great gameplay. It's even better in Rev2 thanks to the inclusion of an upgrade system, that lets you beef up your character even further with new skills and stats. There's just a smooth and well controlled feeling to the shooting that is criminally overlooked by Capcom themselves in their inferior controlled mainline RE series. It's a shame to see that the laughably bad RE6 simply ignored the first Revelations and had this terrible control system of it's own. Rev2 is simply just fun to play, and it's even more so in coop with someone. Especially as each and every episode feels distinctly different and throw a lot of new ideas in for each chapter. I went from a "this should be okay for a cheap price" to truly enjoying the game with my wife. Granted, we thought the story was stupid at times, however the ending and especially the tense build-up towards it was actually quite good and exciting. We appreciated the diversity in each episode and the introduction to new enemies and puzzles keeping us at our toes through it's lengthy 10-12 hour lifespan. There's almost no filler here to tire your attention out. We also enjoyed the location setting, which I won't reveal as it's a spoiler and the many creepy areas. Artistically it reminded me a lot of the Silent Hill games, with dark, worn-down and abandoned buildings. It's perhaps the RE game that strays the most away from previous games in it's environments, but in a good way. Thinking more about it, the scary atmosphere and messed up looking enemies, the comparison to Silent Hill is actually quite spot-on. Just don't expect the more unnatural and psychological side of SH to make an appearance, this is a RE game after all. It must be mentioned that I loved the small references for RE fans in the dialogue too, like the comment to Barry and Jill's legendary bad lockpick and sandwich conversations from RE1. I even ended up being hooked to the Raid mode again, much like in Rev1, with it's addictive levelling and weapons upgrade system. Raid mode pits you against a certain number of enemies in increasingly difficult missions. The take place on smaller locations, some even from RE6 and Rev1, where the goal is to traverse through them and simply survive. It's fun addition, that I would have loved to try out in coop. All in all a surprise title that really should be played for RE fans and coop players alike. While it lacks substance in it's story and technically needs more polish, it proves that great gameplay is what makes a game last in the long run. Warmly recommended as a coop game and one of 2015's finest moments in my pleasantly surprised opinion. 60fps framerate combined with smooth shooting mechanics, even in splitscreen. Interesting setting and varied tasks in each episode. Two distinctly different gameplay styles for each coop player. Graphics work fine but look unpolished. Fairly repetitive environments and a lot of re-use in each episode. Storyline starts off bland and dialogue is cheesy at times.